Despite our very best efforts, we were not able to locate a home for Spanky and Rozan within their owner’s timeline. 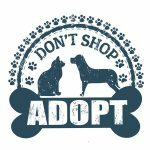 Seattle Pet Rehoming Network is dedicated to finding good homes for preloved dogs and cats, and will continue to work towards this goal for as long as necessary. We are often able to find a good home within days or weeks, and in other instances, particularly with senior dogs, bonded pairs or dogs with behavior issues, the search can take several months. In the case of Spanky and Rozan, the owner requested that the rehoming project be terminated. 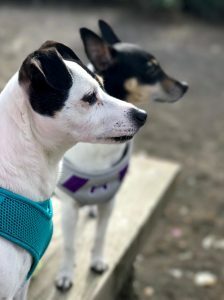 If you are interested in adopting a Jack Russell Terrier or Rat Terrier dog for rehoming in the Seattle area, please feel free to get on our waiting list. We will notify you when a suitable dog comes available for adoption near you. 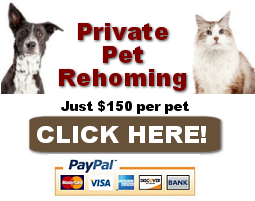 Need to Rehome a Dog in Seattle and Area? We help caring dog owners find good homes for their pets when they can no longer care for them. We woould be happy to chat with you about your situation, give you an honest assessment of your dogs adoptability, and offer our expert dog rehoming services to you, if desired. Call us at (888) 720-3322 or contact us by email. We look forward to hearing from you! 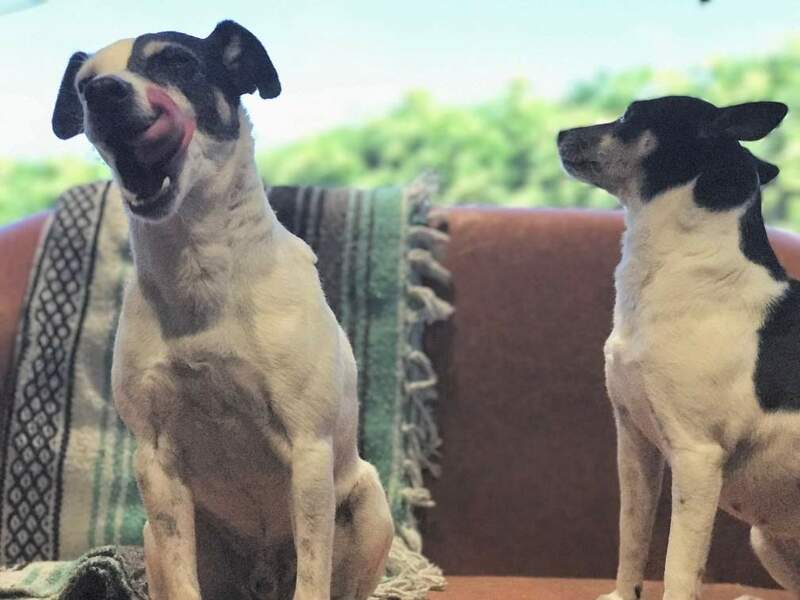 Spanky and Rozan are a delightful pair of small mix breed dogs for adoption in North Bonneville, WA, near Seattle. Although different ages (Spanky is a senior, while Rozan is just 6) both dogs are adorable little characters with so much joy for life. 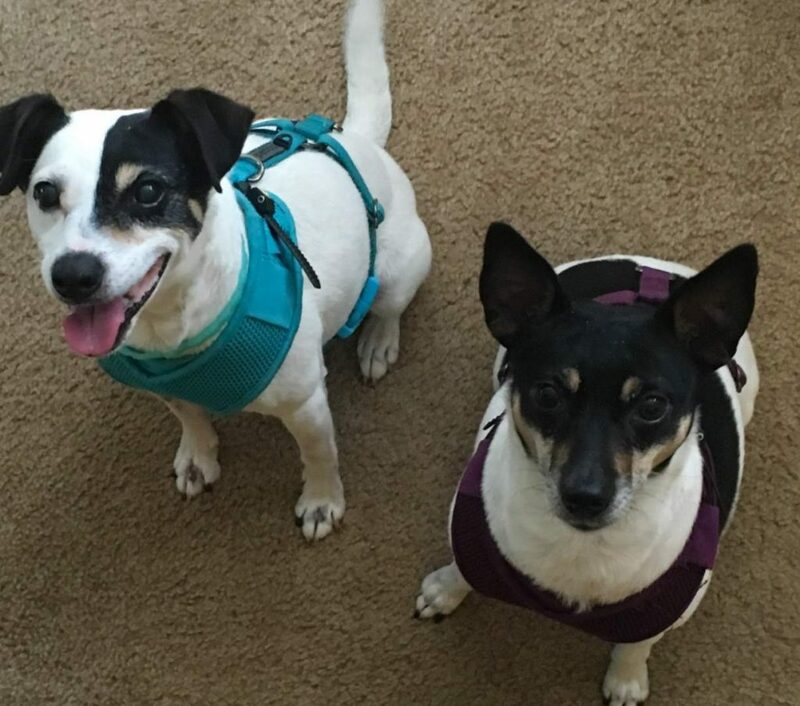 A mix of both Jack Russell Terrier and Rat Terrier, Spanky and Rozan are both athletic and energetic. They love to plan and are up for anything you want to do. They love to go for walks and play with their toys. Both dogs are fixed, fully vaccinated and in good health. They are well behaved and house broken. The ideal home for these sweet dogs will be one which does not have other pets. Spanky is not a fan of other dogs, and Rozan tends to bark at them. Cats are fun for chasing, according to the dogs, so unless your cat needs a lot of exercise, it’s best that Spanky and Rozan are adopted into a cat free home. Both dogs are great with respectful children. They love to run, jump and play when kids are around. Above all, this precious pair are looking for a very loving home with people who have the time to give them the love, attention, playtime and exercise they need and deserve. They will be rehomed with all supplies and vet records. 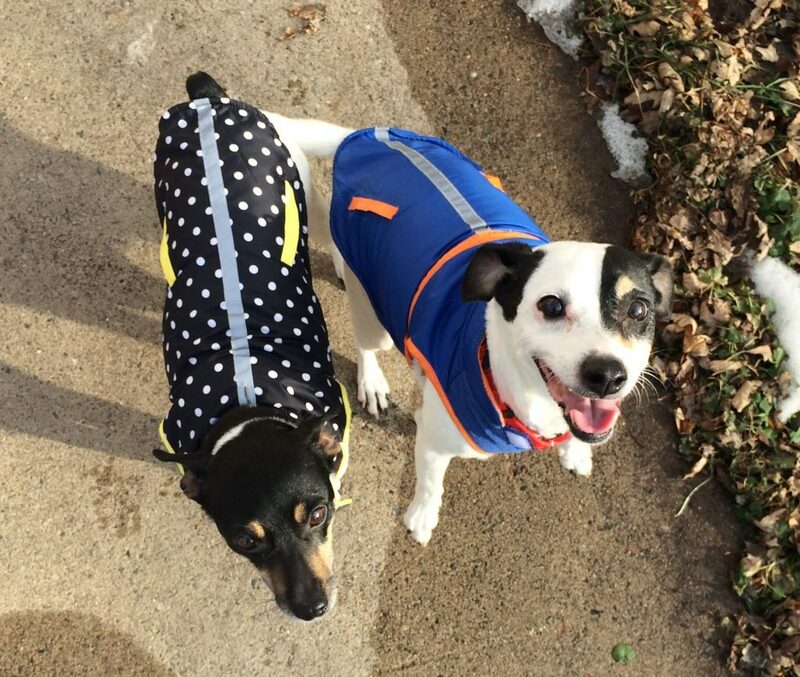 If you have been looking for a very cute pair of bonded small dogs, please offer Spanky and Rozan a loving home today. Behavior Issues: Yes Spanky is aggressive towards new dogs but has successfully made friends after long, slow, structured introductions. Rozan barks at animals but is not aggressive. Accessories Included: The pups just have small dog beds, grooming supplies, treats, leashes, harnesses, and dog bags. Spanky: I love how handsome he is, how sweet he can be, his quirky personality, that he loves to explore and exercise with me and how much energy he has. Rozan: I love when she makes a silly groaning sound when she cuddles, her sweet eyes, when she play bites with me, her excitement for running, and that she always wants to show me love. It is just me and the two dogs. We live full time in an RV since moving to Oregon/Washington. I work from home so I’m with them during the day but am away from home a lot outside of work hours. They don’t get interaction with other ppl or dogs like they did prior to our move. I walk them every day and try to have play time as often as possible at home. I don’t have family where I live but they all are dog lovers. 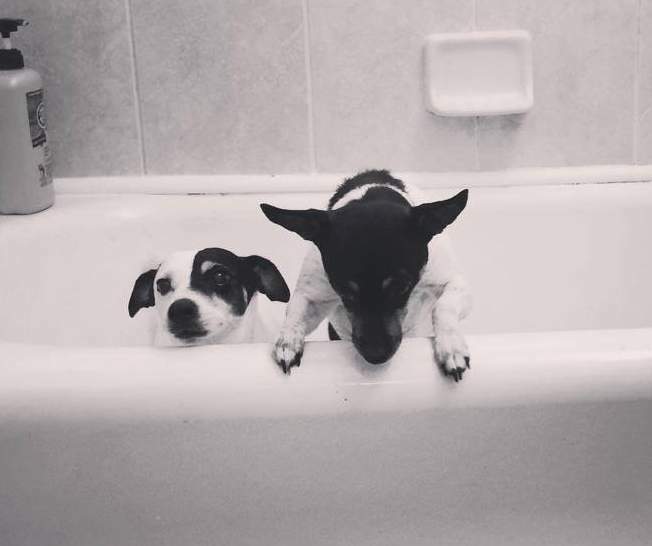 They enjoyed having my dogs over when we loved in the same state. Spanky & Rozan’s Favorite Toys, Foods, Activities? Spanky loves his ball. Rozan doesn’t play with toys much but she will tear on a stuffed animal toy every once in a while (which is pretty funny to watch). Why are Spanky & Rozan Being Rehomed? I no longer have the help that I used to have with caring for the dogs. They don’t get the attention and care that they need/deserve with just me around. I’m looking for a couple or family because the dogs need constant affection and attention. With more ppl around, the easier that can be accomplished and the happier the pups will be. I prefer the adoptive family to be active enough that they enjoy walking the dogs regularily. Rozan can run up to about 5 miles and Spanky can only run around 1 mile now.